The most popular video on Donut Media’s burgeoning YouTube channel sees two giggly grandmothers — Audrey and Peggy — taking a 650 HP Lamborghini for a spin around Los Angeles. Passersby gawk at the adorable duo as they honk and wave, and even pick up a date in the supermarket parking lot along the way. The clip has been viewed a whopping 6.4 million times. While two-year-old Donut is aiming to be the premiere millennial publisher for car enthusiasts — a relatively niche category on YouTube today — Two Grannies, One Lamborghini illustrates its prospective appeal beyond die-hard gearheads. Donut’s broader ambitions are evident with just a cursory glance at its channel, which features many snackable formats that millennial viewers have come to know and love — complete with a bright aesthetic, snappy editing, and deadpan comedic tone. Some recent hits include explainer videos (Why Are Sports Cars Red? and Where Did Cupholders Come From? ), listicles (Top 10 Street Legal Race Cars), challenges (500 Miles In A $500 Car), and unboxings (Dodge Demon Crate Unboxing). One could even argue that Two Grannies, One Lamborghini falls squarely within YouTube’s ever-popular ‘social experiment’ content category. Donut was co-founded by Levin, a former product head at AwesomenessTV, alongside early car content creators Ben Conrad and Nick Moceri, who previously directed and produced a handful of installments in Ken Block‘s incredibly popular Gymkhana series. The videos depict Block driving very fast while maneuvering through an insane obstacle course that would be difficult to navigate in a video game, let alone in a real life setting. They’ve also been viewed hundreds of millions of times, a testament to Donut’s purpose that cool car content can translate into mainstream appeal. The company raised $800,000 in seed funding last May from Techstars Ventures, Fontinalis Partners, digital vet Chris Williams, 3311 Ventures, and Luma Launch. Today, Donut counts 10 employees. While it has seen early traction — ad revenues crossed the seven-figure threshold in 2016, and doubled last year — the trio ultimately envision a moment when the niche automotive category reaches the audience and advertising potential of more mainstream YouTube genres, like gaming, beauty, or food. This is possible, Levin says, given the fact that cars are so pervasive. To this end, Donut Media is aiming to hone a more contemporary voice than legacy car publishers like Motor Trend (5.6 million subscribers), and a more premium flair than a current crop of car vloggers, including Jason ‘Engineering Explained’ Fenske (1.7 million subscribers), Tim ‘Shmee150’ Burton (1.2 million), and Kyle ‘SaabKyle04’ Lindsey (1.1 million). The company is also looking to swerve away from the stereotypes surrounding auto lovers — namely that they tend to be old white men, Levin says — with content that appeals to a younger, more multicultural sweep. While 97% of its viewers are male, Donut says, 80% are under 35. Donut’s audience also represents a deeply underserved opportunity for advertisers. eMarketer forecasts, for instance, that digital media ad spend across the U.S. auto industry could reach a whopping $11 billion this year, representing 13% of all digital spending. As a category, auto advertising is second only to retail, according to eMarketer. That said, most of the YouTube auto spend currently targets general consumers as opposed to car enthusiasts. “Often, a car brand will go to a big influencer and have them sit in the car, and it feels very inorganic,” Levin says. Car companies also don’t communicate specific car features — like engine stats — to general consumers because it feels too intrusive, Levin says, though it is precisely these points that Donut viewers clamor for. Donut also vends T-shirts and stickers. Donut also collaborates with brands outside of the auto space. The company worked with online learning platform Skillshare on an episode of its hit educational series Up To Speed, for instance, which delves into car history. “The show presented an excellent crossover audience opportunity for Skillshare, which is also trying to help consumers learn the newest tools, techniques, and technologies in their fields,” says David Keller, CEO of the social marketing firm Algebra Media, which reps Skillshare. “Donut Media caters to a new generation of car fan — someone that appreciates cars but may not necessarily be a die-hard fanatic,” continues Keller, who reps other Donut brand partners in the entertainment, men’s accessories and grooming, and mobile gaming categories. “It’s a natural fit for them to do something completely custom and endemic for Ford, but at the same time to sell products or services completely unrelated to automotive because of their growing fan base.” Donut has also run integrations, for instance, with Dollar Shave Club and Audible. 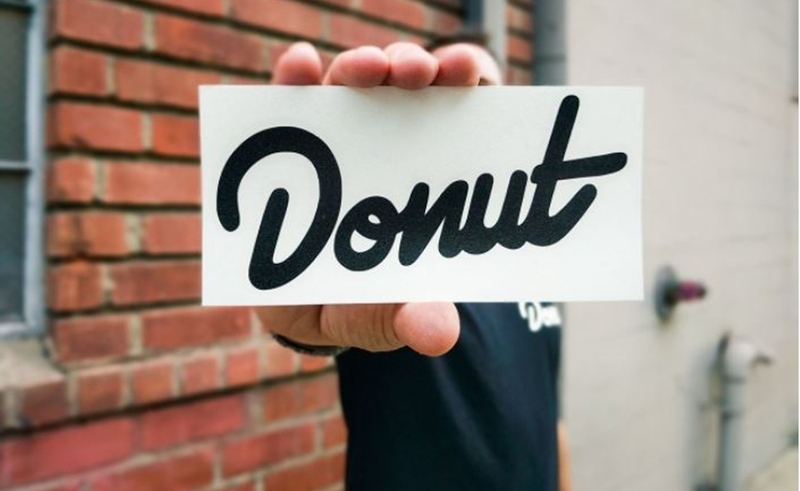 Up To Speed marked something of a turning point for Donut upon its launch last summer, when Levin says the company began to move away from developing one-off viral videos to building sustainable content brands. In addition to being Donut’s most popular series, with an average of 500,000 views per episode on YouTube and 1.5 million views on Facebook, Up To Speed has also proven Donut’s ability to break new digital auto stars. Rather than working with existing influencers, several Donut staffers pull double duty both in front of and behind the camera — including Up To Speed host James Pumphrey, who is also Donut’s head writer. “We’ve seen some commenters say that they’re watching the show for James whether or not they care about the cars he’s discussing,” Levin says, “which is a turning point for any format.” Subsequent series launches include Wheelhouse, Science Garage, and The Bestest. Donut’s YouTube metrics showing Watch Time and Subscriber Growth in 2017. The channel currently has more than 500,000 subscribers. “We want to build a brand that people would miss if it were gone tomorrow,” Levin says. Merchandise also continues to be a huge priority. While the company currently vends T-shirts ($25) and stickers ($5) bearing its snazzy logo, other product categories are also on the table, including car accessories, key chains, and more.